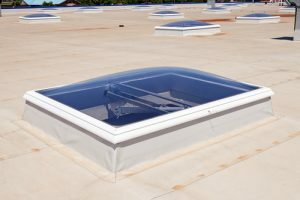 Whether you have a minor issue with your commercial or industrial roof that can be repaired, or you’re looking at total replacement there are a few things you should expect. Either is an important investment in your business, but what should you be prepared for? Preparation and planning. There are a lot of decisions to be made when repairing or replacing your commercial roof. For instance, what material is the best and if you’re repairing, which will match seamlessly with whatever type of roof you currently have? What color would complement your building most, and how long will it take to complete the project? It’s important to be prepared and understand all of the options from the beginning, so that the job can be completed in the briefest amount of time possible. Expect it to be a noisy project. From trucks delivering materials to walking on the roof, hammering, stapling and more, having your roof repaired or replaced isn’t a noiseless endeavor. Be prepared for quite a bit of noise, although hopefully it won’t last too long. Be prepared to stay safe and away from the construction going on. Employees will want to park a safe distance away from where roofers will be working, and it’s recommended everyone steer clear of the area as much as possible to prevent possible safety issues or injury. Clean up after the project is completed. Commercial roofing crews should never leave the cleanup to you. In fact, it’s important to be sure prior to work beginning that the roofing company will take care of cleaning up all materials, tools, etc. either on a daily basis, or once the project is complete. As the customer, you should never be left with a mess on your hands. At Kelco Roofing our Atlanta commercial roofing contractors are committed to not only quality materials and workmanship, but leaving your building as neat and orderly as possible once the project is complete. Give us a call today for all of your commercial roof repair or replacement needs!